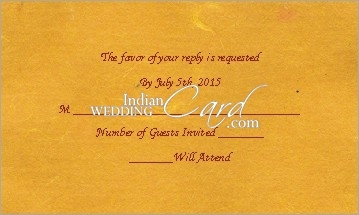 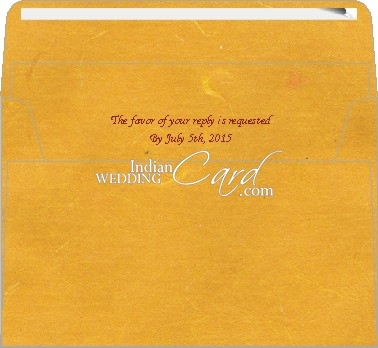 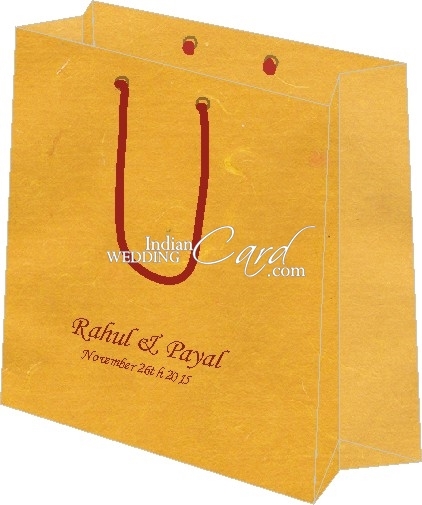 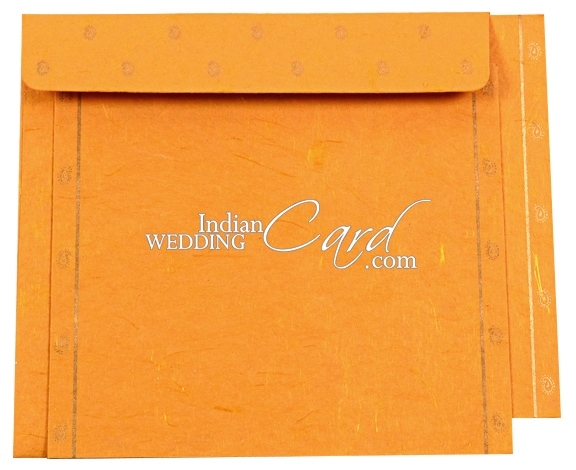 Description: If you thought of scintillating card design for your wedding then we assure nothing could get better than this. 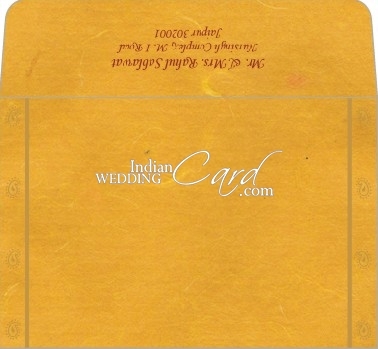 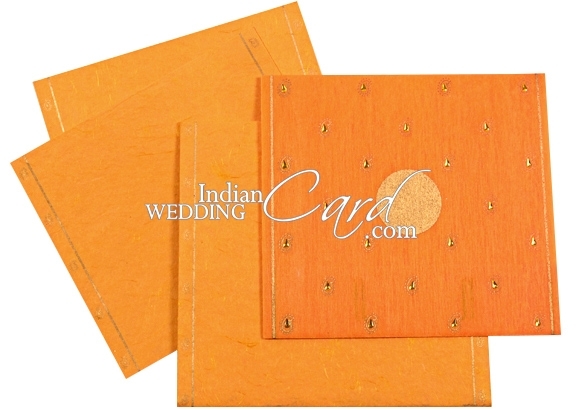 This Muslim card in the jacket design has superb ochre colored wooly paper incorporation and the front shows golden line borders overall paisley prints in gold with beautiful Kundan work and cicular golden block in the center. 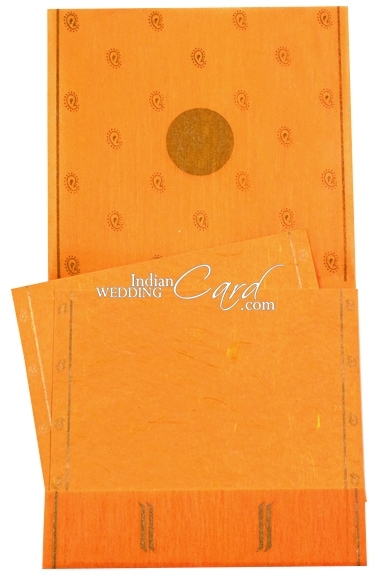 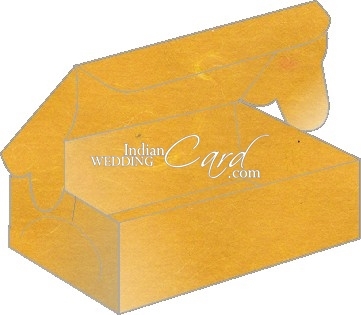 The inserts are in ochre handmade silk paper sheets with golden paisley prints border and the envelope in similar paper follows a similar design. 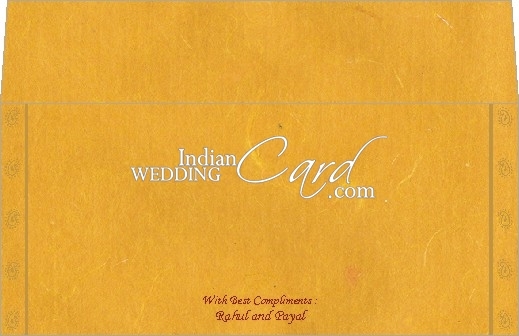 Thank you sooo much the cards are beautiful.. i might have a new customer for you who would also like to arrange their wedding cards from your company. 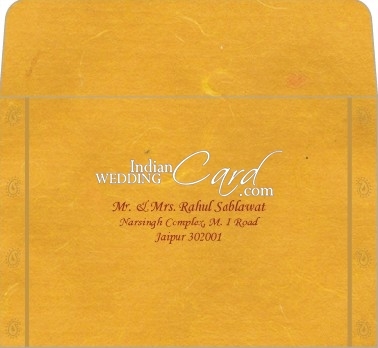 Excellent service i wil recommend to everyone who needs cards. 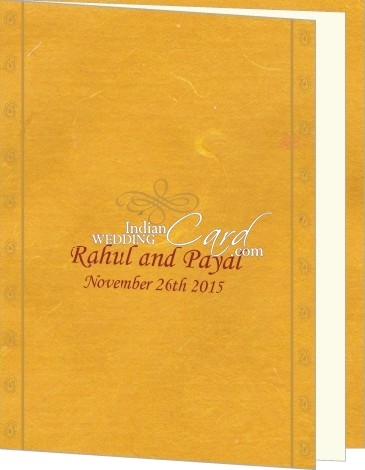 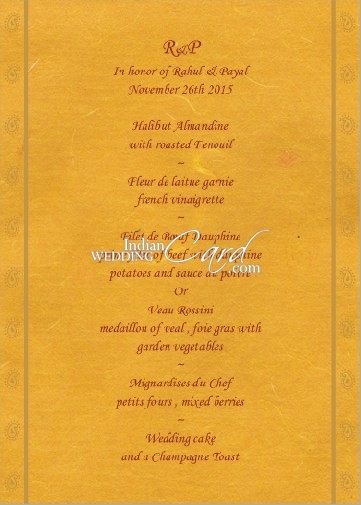 I just wanted to let you know that I have received the invitations and they look great. 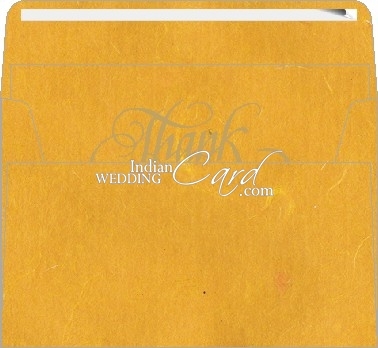 Thanks for all your help.